SanDisk the world leading storage solutions provider got in a new partnership with Romero Britto, the international artist which is well known for his public art installations for the O2 Dome (Berlin), Hyde Park (London), John F. Kennedy Airport (New York), and Cirque du Soleil at Super Bowl XLI. 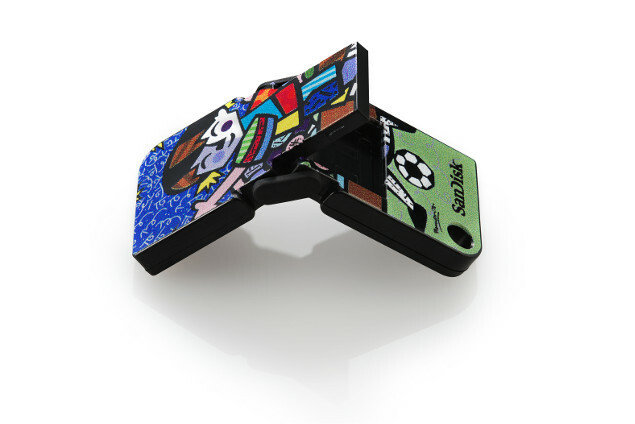 As a announcement of this partnership, SanDisk has launched a special edition Cruzer Pop USB flash drive designed by Romero Britto himself. 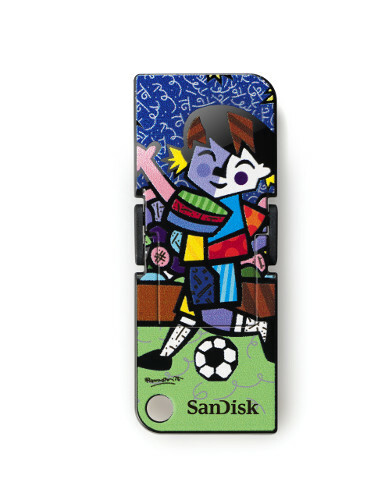 His colorful and cheerful art design is shown on the flash drive too in a unique design using soccer as an inspiration being the FIFA worldcup month. This special edition will be featured on the 8GB Cruzer Pop USB flash drive. As usual SanDisk shall include SanDisk SecureAccess Software with the drive, which provides secure file encryption and password protection for private files. Strengthening the sales, SanDisk has partnered with Snapdeal to distribute this drive in the country at a retail price of ₹499 starting today.